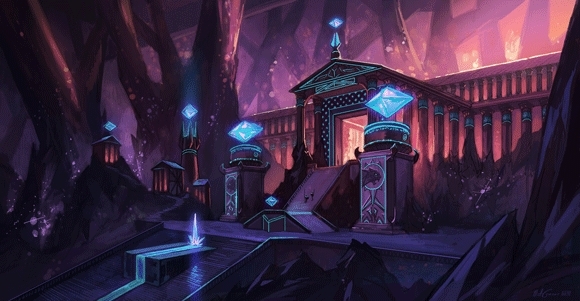 This is a Beyond the Battlefield story, a perspective piece centered on Summoner Mistreiu Zephyra Ko, set during the Hextech Revolution storyline. Days and nights were always busy for Summoners. For most of them, their time was taken up with practice matches, research, learning for the less experienced, and socializing to improve teamwork. On the odd chance that there was a dispute between factions, meetings and deciding matches filled up yet more blocks of time. Occasionally, however, there were breaks- periods of rest so that mind and body were not fatigued with constant activity. There must always be time to reflect on your experiences. An older Summoner had said this once, but let it never be said that reflections were always pleasant. Activity can blind a person, and only when they stop to look around them do they understand the possibilities hidden by the myriad hints in everything. She was a Summoner, essentially a diplomat representing her city states, although many of her peers were here thinking the matches were simply games with no import outside of the buildings. Being a diplomat meant having tact, the ability to handle sensitive situations, the ability to read hidden meanings, and project possible consequences of any action taken. Summoners worked in teams with Champions, handling both the political minefield of negotiation and the imitation of war on the Fields. In reflection, there were so many troubling things. The League had definitely changed a lot recently, and she wasn’t sure if they were good changes. The matches were more of a spectator sport now, and there was little news of any trouble between the factions. Does that mean that for once, we are in a rare state of accord? Or are the members of the High Council withholding information? There had been more focus on rebalancing the magical limiters on the Champions, renovating the various Fields, and less surprisingly, the induction of still more Champions. On her last count, the roster was well over a hundred and ten strong. Was the League, meant to be the global mediator, now to become simply entertainment? Then there was the matter of the Champions themselves. Judgements ceased to happen in the third season of League session. Why did they stop? Surely they are not that shorthanded or lacking in resources to that extent. I thought becoming a Champion in the League was more difficult. Before, they at least gave us the assurance that a potential Champion was able to withstand the burden of the invasive ritual. Now, the High Council just seems to be adding anyone they can find. This new Champion, the prehistoric Yordle Gnar…will he be able to take the long term mental strain from this, or will he go insane from it eventually? And how will Annie grow up having her mind constantly exposed to other people’s whims? Why did they let in Jinx? She wrecked a good chunk of Piltover for no other reason than boredom…she isn’t like Brand or Nocturne, what are they planning to do with her here? What do they want? Why do they keep criminals and glorify them here? And what have they done concerning the fallout from past wars? If there was corruption in the higher ranks, she was not surprised. All powerful constructs tended to have that, especially when there was glory and money involved. She frowned. It was normal, but that was also a bad thing. How long did the League have if it was to continue like this? How long until everything fell apart again? Perhaps it would last and she wouldn’t see it fall in her lifetime. She could only hope that was the case. i liked reading this alot and its a good tie in to how riot really doesnt do as much for the players like they use to. For example the custom made map skins for summoners rift, the journal of justice, the judgements all of the stuff that made players feel like they were part of the story is just gone now.